Losing your dog is a painful and traumatic experience. 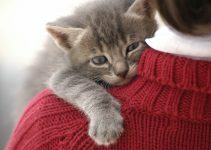 They were your loyal friend and companion. So how can you always remember and honor their life? 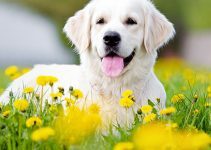 One beautiful and popular way is with a dog headstone. They’re elegant, unique, and can be put indoors or outdoors. You can write a small message on them or even put a photo on them. Below we’ll go through some great options on the market. This elegant memorial comes in the form of a stepping stone made of painted polystone. It is decorated with cute paw prints and a heartfelt message. The stone is treated with a special finish for protection against the sun and weather. Why choose the Evergreen Stone? Almost 1000 customers on their Amazon store, have given it a 5-star rating, so it comes highly recommended. Another popular dog marker for outdoors, this memorial is made of weatherproof resin, giving the the look and feel of real stone. 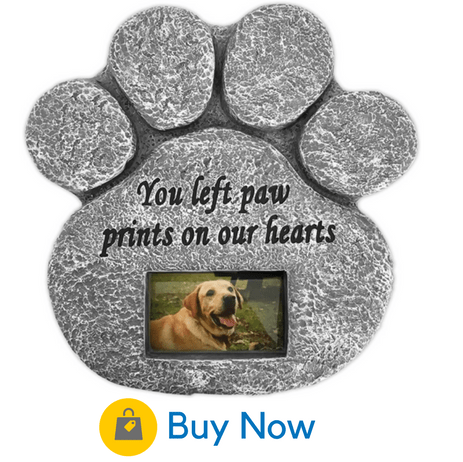 The headstone is beautifully crafted and decorated with heart and paw print engravings. It also has a lovely parting message for your furry friend. It’s beautifully crafted, weatherproof, and well liked by customers. Check out their Amazon store for the best deal and more information. 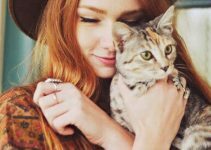 For anyone that has lost a pet, the quote “you left paw prints on our hearts” will touch you. This Paw Print Stone may be right memorial for you. The stone itself is eco-friendly being made of hardwearing waterproof resin. It also comes with a customizable photo slot, which is a very nice touch. You can place it indoors where it can stand on a bookshelf, or you can lay it in a special place in the garden. Check out their Amazon store for more information and to purchase. 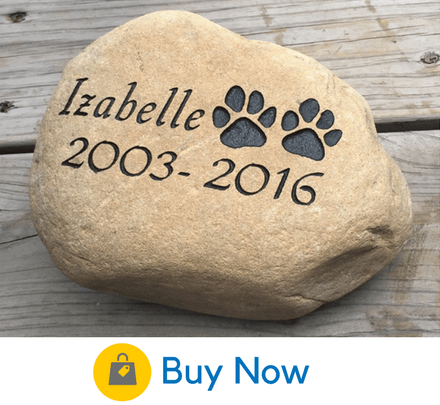 If you’re looking for something personalized to your furry friend, this Petstone Marker maybe the right choice. 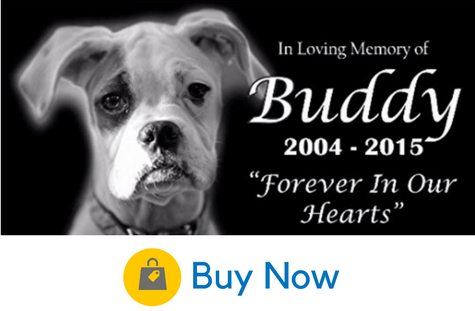 Made with high quality granite, you are able to engrave an image of your dog and also include a message. We recommend buying at their Amazon store for the best price and service. Loved by customers, this simple but elegant dog memorial is made of natural river stone. 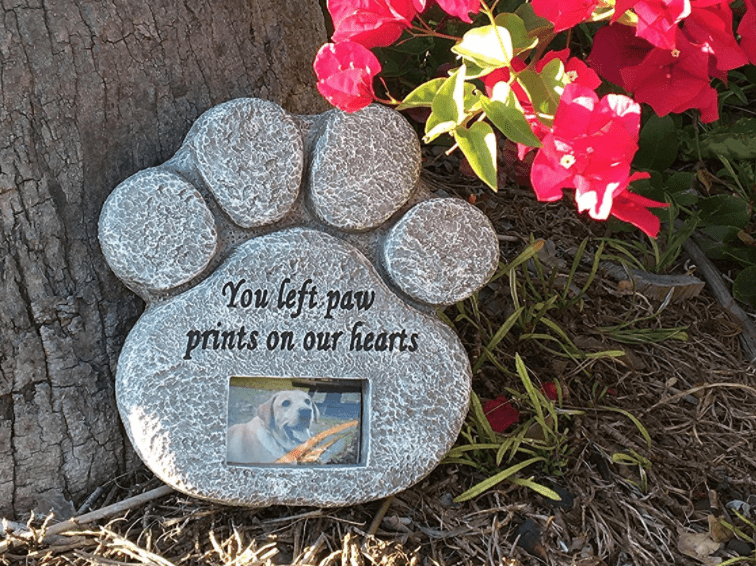 This dog stone memorial is perfect for outside, where it will naturally blend in the garden or patio. 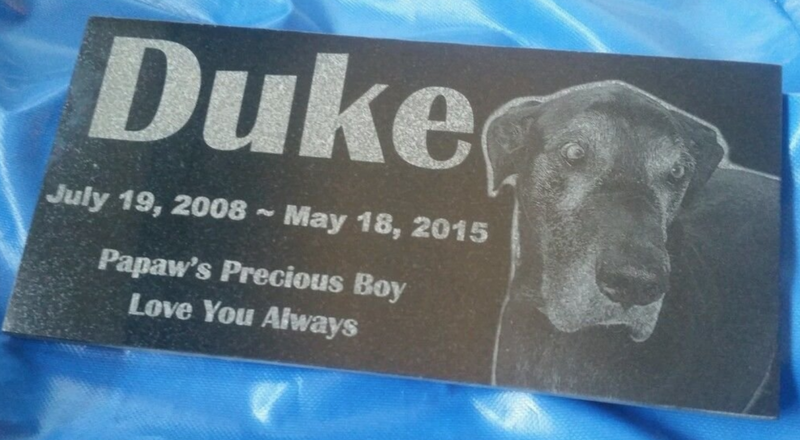 You can have your dog’s name and year span depicted on the stone. Check out this Amazon store for more information and to purchase. If you’re looking for something more unique and earthy looking, this marker made of red stone might be for you. Your message will be naturally engraved into the stone using a sandblaster. 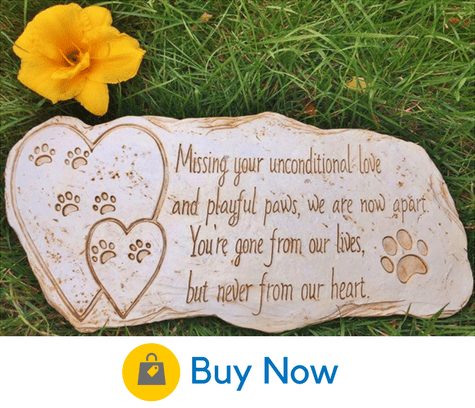 Your grave marker can bear the name, year span, and memorial message to customize it especially for your furry family member. 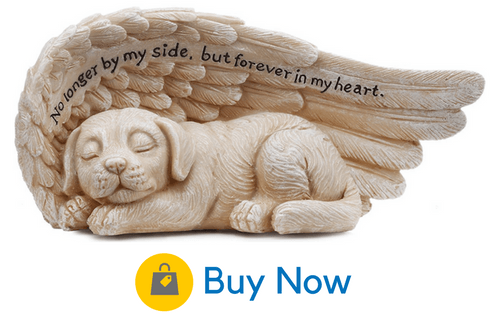 This dog statute is a very special way to remember a dog that has passed on. This small statue (8 by 4 inches) depicts a dog sleeping on the wing of an angel. It is made of long-lasting resin and is equally suitable for indoor and outdoor use. Why choose the Sleeping Dog Statue? 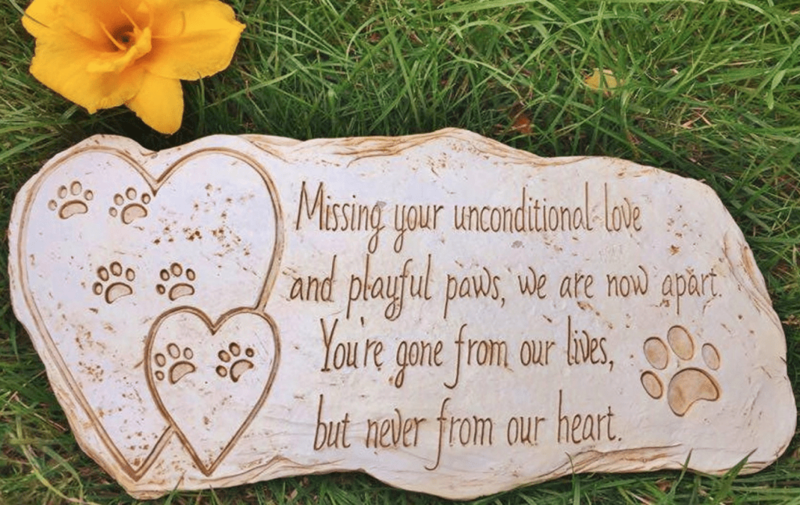 It’s a touching way to remember your beloved dog. 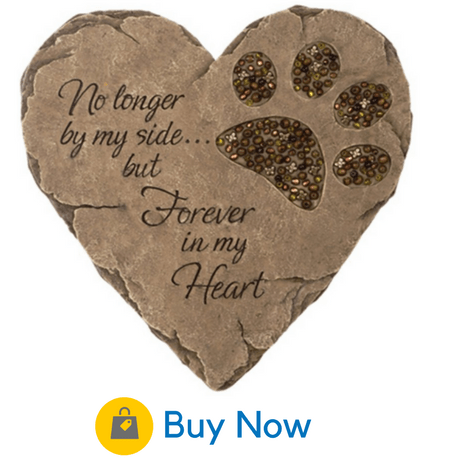 A best seller online, this gray stone heart memorial is beautiful way to honor your dog’s life. This grave marker is made from natural stone cut in the shape of a heart. 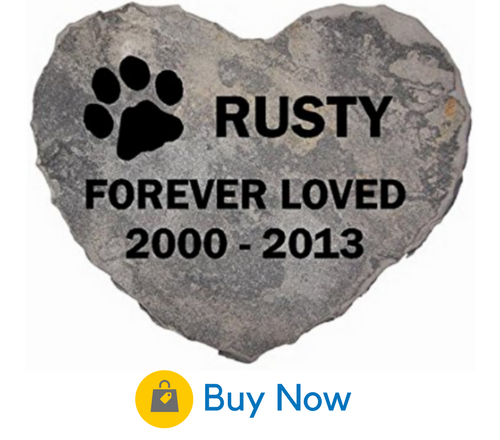 The stone is sandblasted with the details of your dog’s name and dates that mark its life span. 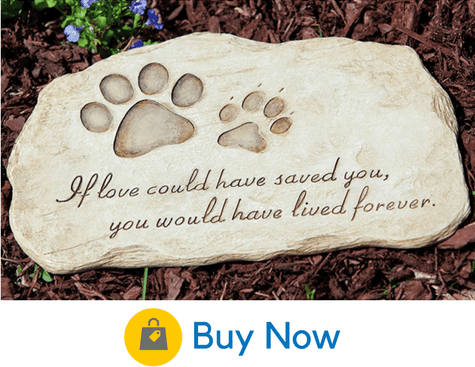 This beautifully crafted garden stepping stone is another highly recommended way to remember a pet. Popular for its unique design, the stepping stone feature paw prints depicted in beadwork. 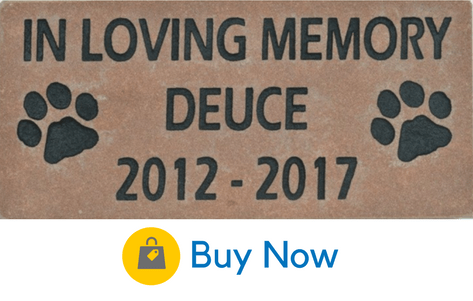 You can easily place this headstone in a special place in the garden, or you can actually hang it on a wall (There’s a keyhole hanger on the back).